I cured my cravings today by having a protein-packed lunch to keep me sustained throughout a big afternoon of study. 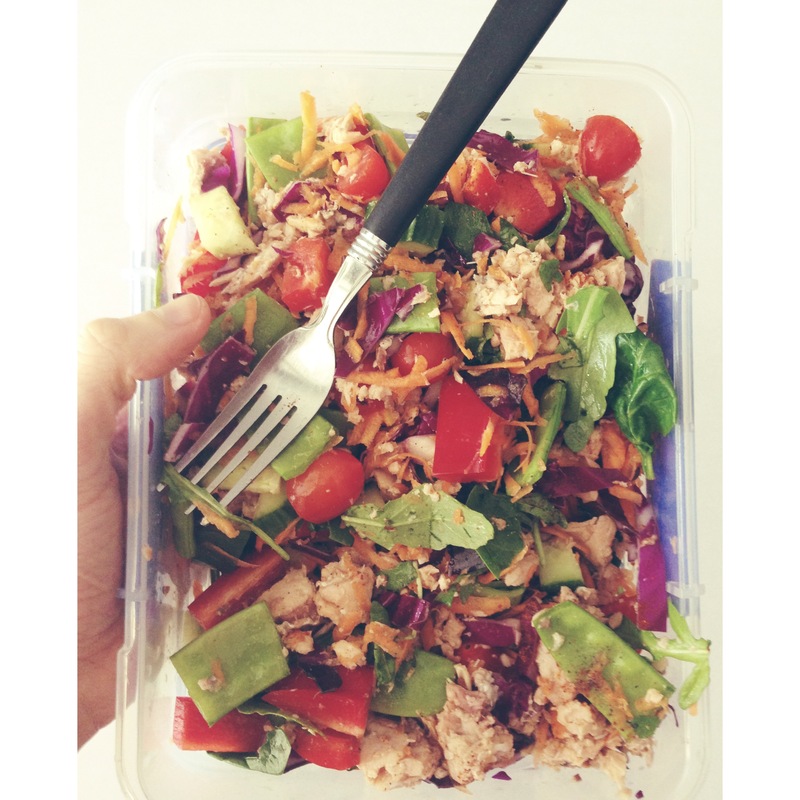 This colourful salad has pink salmon, purple cabbage, cucumber, rocket, baby spinach, snow peas, carrot, tomato, capsicum, and cayenne pepper. Yum! This entry was posted in Recipes, Sugar-Free, Uncategorized and tagged colourful, Delicious, greens, healthy, healthy eating, lunch, protein, Salad, salmon, Sugar-Free, Vegetables. Bookmark the permalink. Sometimes salads can be so hearty and amazing….to the point where I actually *crave* them. How amazing is that? This one looks awesome!